Cultural evening is a small get-together of our students to relieve academic tension. 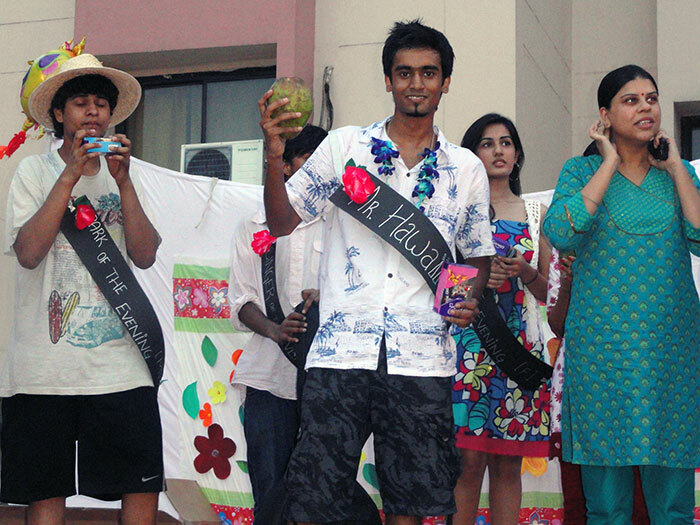 This year's cultural evening was organized on 8th October, 2012. Cultural evening gives an opportunity to students to interact and socialize with each other. Students participate in various extra-curricular activities to showcase their talent and passion for their hobbies. This platform helps them to unleash their hidden talents in the variety of genres ranging from creative skills to dance, drama, music, band performance and many more… finally rocking at the DJ. This event is sure to leave the fond memories for years to cherish. The Director, Staff and Senior students hosted the fresher’s party for the third batch students of management at Symbiosis Centre for Management Studies, Noida on 20 July 2012. The colourful and spirit filled student community were foot loose and let loose themselves energetically. The students came in Hawaiian attire. 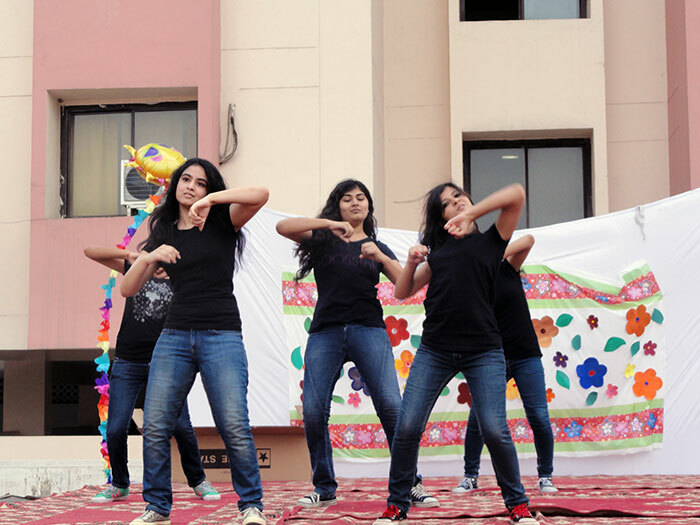 The students melodiously rendered the Bollywood notes and hilariously sang some popular numbers. The exciting part of the day was the “Tug of War”, both for the girls and boys. The song and dance Competition proved that management students can become professional artists in future. Collage compiled by the participants was thematically mind boggling. Dressed in their finest, the girls and boys were in flora and fauna designs. The first year students participated in different games which have been organized by their senior students. 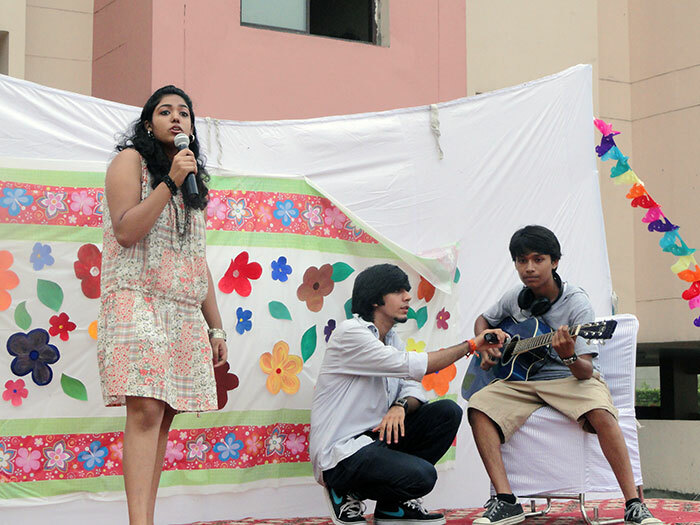 All the fresher’s participated in the talent hunt round and other events like Just a Minute (JAM). The Grand Finale was the Ms. & Mr Fresher, Spark of the eve, Ms . & Mr Hawaii and Best Dancer & Best singer. Finally, the Management, Director , Deputy Director and Faculty conveyed their best wishes to students on this occasion and distributed prizes to the winners.